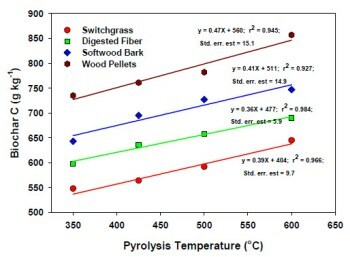 There is a lot of interest in biochar as a soil amendment and for its potential role in sequestering carbon to ameliorate the effects of climate change. 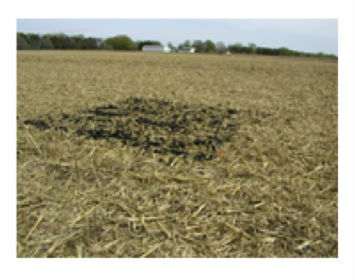 CenUSA is evaluating biochar impacts on farm and garden crops production. 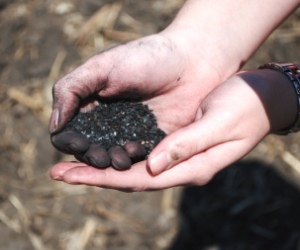 Research is active and ongoing, and this list of recommended readings provides links to publications about different aspects of biochar production and use. Please note that most of these links go to abstracts provided by professional journals; many of the full articles are only available to subscribers, or for a fee. You may be able to access these publications at your university or college library. 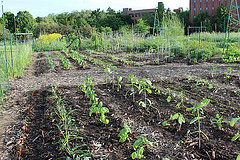 Master Gardener Biochar Trials – St. Paul, MN campus. Photo: J. Weisenhorn. Busch, Daniela, Claudia Kammann, Ludger Grünhage and Christoph Müller. 2012. 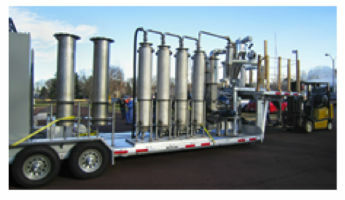 Photo courtesy of the Bioeconomy Institute at Iowa State University.